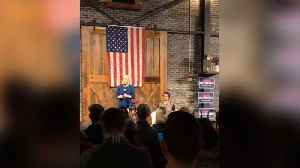 Democratic presidential candidate Kirsten Gillibrand held her first campaign rally in New York City. Speaking in front of the Trump hotel, she hit out a President Donald Trump calling him a ‘coward’ and accusing him of trying to ‘reduce America to its smallest self’. Kirsten Gillibrand brought her 2020 campaign launch to Trump’s doorstep, literally. 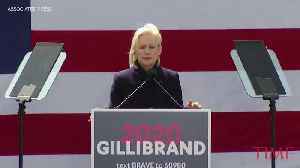 This video, "Kirsten Gillibrand Officially Launched Her 2020 Campaign Outside of Trump Tower", first appeared on.. 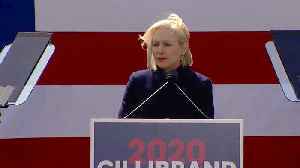 US Senator Kirsten Gillibrand (D-NY) officially launched her presidential campaign today (March 24), giving a speech outside the Trump International Hotel and Tower in New York City. New York Sen. Kirsten Gillibrand on Sunday launched a pointed attack of President Donald Trump and his policies, speaking feet away from one of Trump’s Manhattan properties. NEW YORK (Reuters) - Democratic U.S. Senator Kirsten Gillibrand delivered a fiery repudiation of U.S. President Donald Trump on Sunday at the doorstep of one of his most famous properties, making it..
(Reuters) - Democratic U.S. 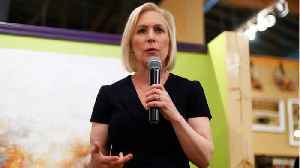 Senator Kirsten Gillibrand will deliver a fiery first speech as an official presidential candidate in New York City on Sunday, calling U.S. President Donald Trump a..
Presidential candidate Senator Kirsten Gillibrand said President Donald Trump was 'afraid' during a town hall speech, which took place on March 21, 2019 in Des Moines, Iowa. Could Kirsten Gillibrand Win In 2020? 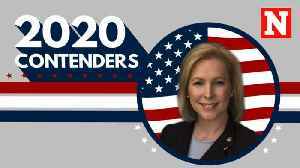 Senator Kirsten Gillibrand of New York has jumped into the 2020 presidential race, joining what is set to be a crowded field of opponents. 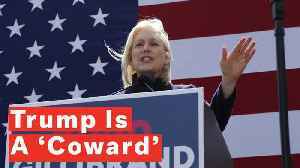 Gillibrand has been a fierce critic of President Donald Trump,..